The solution? Measuring portions again! When I was in active weight loss mode I measured most of my foods, even bananas at times! It helped me to really learn portion size and over time I learned what a proper portion of different foods looked like- especially foods that are easy to consume in large quantities such as pasta, peanut butter, hummus, muffins, etc. While eyeballing and trusting my body works to maintain my weight, I would really like to feel great again and feel super comfortable in my body, which to me means losing those 3 lbs. While I have been strength training and teaching boot camp, I have been having some IT band issues that have prevented me from running as much as I would like (but I AM doing the Broad Street Run this Sunday!) That means the food scale is back in full force and I am measuring some foods. I find that calorie counting or measuring portions really works for someone like myself. I don’t become obsessed over the numbers and I use a combination of trusting my body and portion control to help me lose weight. 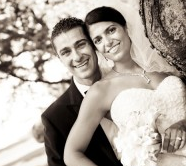 It is easy to sometimes lose sight of goals or habits, and I know that for myself one day of bad habits can easily turn in to many more, which is how I gained a few lbs after my wedding in the first place. However I realize that life is not static, and my weight won’t be either. There is nothing wrong with reevaluating my diet, portions, and workout plans when I need to and make adjustments as needed. It is amazing how small a tablespoon of peanut butter really is. And yes, I no longer eat the super natural grainy nut butters. My addiction to Skippy creamy (natural) is back in full force. Talk about bad habits coming back! What do you do to keep your healthy lifestyle in check? Do you think measuring portions or calorie counting can be healthy and useful tools? I lost 25 pounds a few years ago, and didn’t count calories at all…but I did portion control (loosely). Recently about 7 of those pounds have crept back on, and I decided to count calories to get an idea of exactly how much I eat. Several of my bad habits came back during the gain of those 7 pounds (office candy jar?!?) and counting my calories has really shown me how they add up. those are DEFINITELY useful tools if you know that you don’t obsess over them at all. I need to start measuring (as in weighing) my foods more often, but I can’t do the calorie-counting thing. it makes me revert back to my disordered eating habits, which is not cool. @Heather (Heather’s Dish), I use a Salter scale, and never usually other measuring tools unless I am creating a recipe. I have found that it works so well for me because I don’t get caught up in the numbers at all. I have lost weight in the past by NOT calorie counting, but wheh I did fitnes shows I measured everything. I also think both can work but it totally depends on the person. I never got obsessive or anything, but did have a time or 2 when I wanted an apple and it was ‘over’ my calories! I think it’s important for people to measure out the things they want to eat, even if just for a week days to get a grasp on portion sizes. I lost 15 pounds two years ago and about 45 before that. To lose the 45, I started exercising. To lose the last 15, I had to measure all my foods! I agree though, I think it’s a combo of eating appropriate portion sizes, but also eating if you’re hungry. I’m not really into calorie counting per se because even if you do that you may not be eating the right foods that keep you full. For instance, today, I cannot get enough food! But yesterday, I worked out hard and eat *REALLY* lean, probably too lean, so it’s catching up today. To keep myself in check, I weigh myself once a week on Wednesdays (and let’s be honest, some days in between). I find that it has become a little obsessive for me to do that, but it keeps me in check. Having grown up in Philly, I like my fries and my cheese, too 🙂 So it’s just all about balance and keeping yourself in check – like you are! Good luck with the last 3 lbs! I am lousy at portion control and also tend to gain weight easily if I don’t count calories and actually record what I eat. I’m really surprsed by all of the healthy living bloggers out there who are completely against the idea of calorie-counting. I realize that different things work for different people but it helps me quite a bit. I also use my food scale and love that too! I stick to portion sizes as well. What do you do for pasta…oh and the banana?! @MelissaNibbles, I don’t know if you mean how do I measure pasta/banana or how much I eat? But I use the food scale for pasta and I eat 60 g usually (just over a portion, which is 56 grams, or 2 oz). I don’t measure bananas but I used to when I had a lot more weight to lose! I posted about this a few weeks back. I started measuring and counting my calories again, because I know that works for me. I am still in the process of losing weight and I am really good about keeping up with my work outs but I know I have a problem sometimes with portion control and this really helps with it. I always eyeball my portions and I know I’m usually a little off, because I tend to go through my box of cereal too quickly also. I should probably pay more attention to calorie count and portion control especially since I haven’t been running as much either! @HangryPants, Cereal servings make me sad too! I haven’t measured bananas in a long time, but when I had a lot more weight to lose I did. P.S. I’ve also been using this tool you taught me about called making conscious decisions before eating. I’ve been doing this for a couple of weeks and now I can really feel myself making decisions. It’s helped! @HangryPants, Love that you call it “conscious decisions before eating”. That is a great name, and it definitely helps me too. I am happy to hear it is helping you… be more conscious! I also have a food scale and go through phases of using it and not using it. I don’t count calories but like you said, it is so easy to eat 5 teaspoons of a nut butter without even noticing. I like to measure food consistently for a few days and I feel it helps my portions come back to focus. I use a food scale for some things but definitely not all. I counted calories for so long now I sort of just ‘wing’ it. For me, both of those tools are important for keeping my weight in check. I lost 70lbs. in 2006-2007 by measuring EVERYTHING and tracking what I ate in a food journal. Now that I’m trying to get the baby weight off, I’m back to using both methods and it’s working. I don’t think these things work for everyone to aid in healthy weight loss. You just have to know yourself and keep experimenting until you find what’s right for you. If you get obsessive, probably not the best thing you can do for yourself. Stop counting and find what DOES work. Its great that you can calorie count and not become obsessed. That’s how my ED started about…excessive calorie counting so I naturally I had to stop. I had to gain weight so I ate ridiculous portions of nut butters and finally gained some needed weight back. Now I reluctantly say I kind of calorie count but really what I find that works for me “meal planning.” I write out what I’m going to eat for the day so then I don’t worry about actually counting the calories of each thing. I eyeball each meal so that I know I’m getting the right calories per day. If I count every calorie, I will go crazy and be obsessive. If I don’t count calories, I freak out about everything and eat as little as possible and end up not eating enough. I find that meal planning works best for me! Never eat out of the bag/container! Take a small handful and walk away. And don’t eat mindlessly! I think portion control is KEY!!! But I think that calorie counting and food measuring is only for certain people. Some personalities can’t handle it. TOTALLY agree about portion control!! I used to be really good about measuring my portions when I was on WW 8 years ago and slowly that went out the window. After having my baby in September, I wnated to get back in shape and decided that as of this past Jan. 1 I was doing portion control again…between that and running (for the Broad St. as well) I’m down 16 pounds since January! Most important thing going–portion control, thanks for writing about this! @danielle, Congratulations on the 16 lbs and best of luck!!! I was looking at the bootcamp. I love workouts like that. I wish we had something here in Portland, OR. That’s really cool that you teach that. I don’t currently measure but I have in the past and it HELPED TREMENDOUSLY! In fact, I think it was huge key to my success. I’m a little obsessive by nature but not to the point where I’m unhappy. I think it’s fun to see my number and reach goals. I make a game out of it. Hey there. Great post on portion control. I read a great tip regarding nut butter which I am trying to incorporate: NO More than 2 Tbsp. per day. I love it so much, but am trying to control this love in terms of portion control with this easy reminder. So far, it has worked for me and my nut butter love has been kept under control! Portions are my nemesis but I’m slowly defeating it! I’ve lost 90lbs so far with roughly 30 more to go. I found I’ve been most successful when I was calorie counting which I actually hate doing! LOL It’s so tedious! But it works. Portions are something I’m still working on and tend to wash my measuring cups on an absurdly frequent basis! But measuring and using small plates has really helped! I can 100% relate to what you are saying! I eat a mostly healthy diet, but I occasionally have pounds creep back as well! My solution is always to measure portions and break out my food scale, too! It helps remind me what is an appropriate amount for my body. That visual reminder… plus paying attention to true hunger/fullness… always works! Thanks for this post! 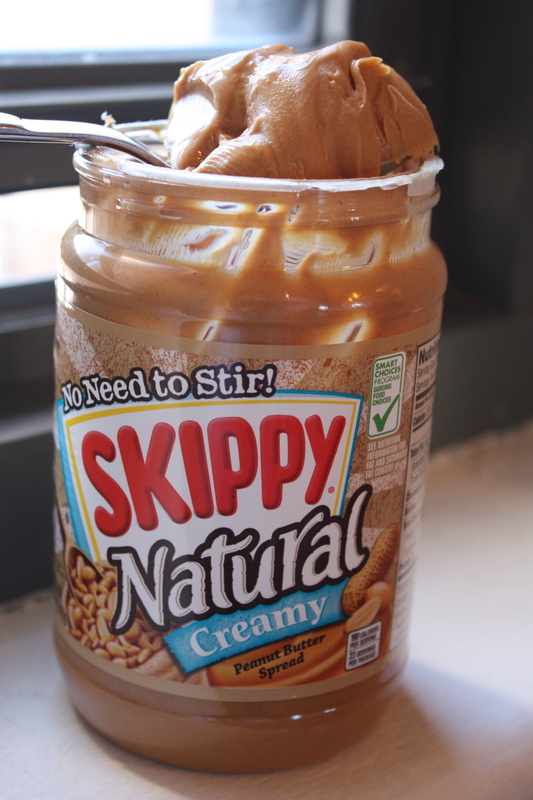 BTW… I live the skippy natural PB, too! Have you tried the JIF natural? I definitely think portion control and calorie counting can be healthy. It depends on your personality though. If you’re prone to an addictive nature, that type of food control might lead to an unhealthy relationship with obsessive measuring and counting..obviously not always, but I think it really depends person to person. I used calorie counting briefly last year, while after starting a desk job gained 5lbs in 2 months. I was so much less active and there were too many goodies around the office. Figuring out what I needed in a day calorically really helped. I don’t calorie count anymore but can just listen to what my body needs. Now I can even tell if my body is craving more fats or protein. I know how frustrating it can be to lose those last few pounds. I lost those 5lbs but always felt stuck at a certain weight after that. When I moved to Colorado, our scale was packed for 4 months while we lived w/my bro in law and sis in law. In those 4 months I dropped about 4lbs and was the lowest [but still very healthy!] I’ve been in years! The weight just flew off as I wasn’t focused on the number on the scale. I guess you just have to do what works best for you! I can’t believe I have not read your blog before, as I’m in Philly and read a lot of food blogs! I was just looking at Meghann’s blog for the recipe of yours that she made (Pear/Apple Walnut Muffins) as I had made them before and just now decided I wanted them to be my pre-Broad Street fuel tomorrow! I just began running in December with the BSR as my goal, as well as weight loss. But I’ve found that in the last month with all of the distance I’ve been eating a lot more and my weight loss progress has been affected! I too have to get back on the portion control wagon! @Carla Valentine, Thanks for stopping by! Good luck to you too tomorrow! You will have to come to the next Philly Foodie Meet Up! Lack of Portion control was how I got to 250 pounds. I have to be very careful about my portions and sometimes I slip up or get lazy…but I always go back to measuring and weighing things. It works. I’m really loving the theme/design of your web site. Do you ever run into any internet browser compatibility issues? A few of my blog audience have complained about my site not operating correctly in Explorer but looks great in Firefox. Do you have any ideas to help fix this issue? First off I would like to say superb blog! I had a quick question that I’d like to ask if you do not mind. I was curious to find out how you center yourself and clear your thoughts before writing. I have had a tough time clearing my thoughts in getting my ideas out. I do enjoy writing but it just seems like the first 10 to 15 minutes are generally wasted simply just trying to figure out how to begin. Any ideas or hints? Thank you!